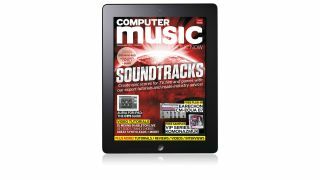 • Get started making epic soundtracks for TV, film and games with our huge blockbuster guide! It's packed with pro advice from the composers behind Breaking Bad, Assassin's Creed 3, and other big-name titles, and you get video for every one of our walkthrough tutorials! • VIP Series: Komonazmuk - Exclusive pack of experimental dubstep sounds from the meticulous bass manipulator. • Heavier Industry - Another 917 sonic bulldozers! Cranium-crushing hits, pads, FX, loops and multisamples. • eaReckon CM-EQUA 87 - This beautiful analogue-esque EQ plug-in for PC/Mac (VST/AU) is all yours, complete with spectral analyser, limiter and more! • Chris Green Producer Masterclass*** - The Need For Speed composer invites us into his studio to film him at work. • Drumsound & Bassline Smith: What are their five fave bits of software for making DnB bangers?